Study at your own pace; from anywhere in the world. What Does the Course Require of You? This course involves fifteen modules as outlined below. You must complete all assignments and pass a series of fourteen exams. You can take all the time you need to complete these; and if you do not pass something; you are always given opportunities to try again. Beyond that; the course is self paced and flexible enough to fit into any lifestyle. This course is made up of 15 modules, listed below. Details can be seen on the relevant websites. Describe the scope and nature of digital photography. 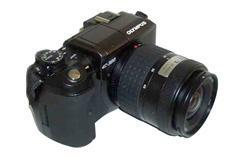 Select appropriate equipment for use in digital photography. Discuss the preparation for a photo shoot by exploring the different equipment and materials needed for a successful shoot. Also examine lighting a subject within a studio setting and explores digital photography issues. Discuss techniques used for taking photos of people. Open digital files using Photoshop. Resize images and save them in multiple file formats. Create original graphics using the Photoshop tools. Manipulate individual elements of a graphic composition or image. Improve the quality of an image (clean it up) by applying modifications. Apply interesting filters and effects to images or compositions. Prepare your files for the web, print or email. Develop your ability to collect, collate and interpret data and prepare reports in ways relevant to the work environment. Monitor and evaluate one’s own work in order to develop a responsible attitude to workplace performance and quality assurance. Develop awareness of areas where there is a valid need for research which are relevant to area of study. Explain research methods, including experimental techniques, commonly used in the learner's area of study. Understand of the basic statistical methods used for research. Locate, collect and evaluate information for a specific research purpose. Use a camera - film or digital – correctly to take good photographs. Use different photographic equipment, and use it correctly to identify and correct problems when they occur. Take photographs that capture and convey particular impressions about a place, its people, and their culture. Develop a more than basic understanding of the effects that can be achieved by manipulating composition, lighting, and equipment, and how to achieve them. Produce photographs and desired effects using digital technology (digital or conventional photography combined with computer software and hardware for processing the photographs). Use different materials and equipment to achieve specific effects in landscape photos. Set up a photo session – inside or outside a studio, to create different effects and convey the desired impression when photographing individuals or groups of people. Use and manipulate light (natural or artificial) to create different photographic affects. create and manipulate images and artwork compositions for the web, email and print, using Adobe Photoshop, the software used commonly in business, publishing and the graphics industry. Develop your understanding of publishing practices and concerns for self publishing, electronic and print publishing. Develop essential skills for managing a small business. This course provides an excellent start for anyone considering self publishing or seeking employment in publishing. It is equally relevant to electronic or print publishing. Gain hands-on experience in illustrating a publication with photographic images, and working cooperatively in a publication team, through a guided student publication project. Plan and conduct research into the current status of an aspect of the photography industry, and complete a descriptive report based on that research. identify, select and apply knowledge and skills to appropriate perform workplace tasks in the workplace, and adapt them to photographic practice. Prepare a portfolio of your photographic work in a way that reflects high standards of professionalism, and represents the range and quality of your experience and abilities. Photography offers a wide range of employment prospects and career paths. The industry is a dynamic one, but one that is also in the midst of upheaval as people move away from film photography and into digital photography. Developments in digital technology have had a huge impact on the photographic industry causing many large and well established employers to reduce job numbers. At the same time, new technologies have offered small businesses and freelance photographers an opportunity to compete more strongly than ever before with larger and more established businesses and professionals. In summary, photography offers lots of opportunity, but it is a rapidly changing industry, and to succeed, you need to stay up to date, and have the capacity to not only adapt quickly to new technology, but also be innovative in the way you apply it and the way you move your career forward. HOW WILL THIS 1500 HOUR LEARNING BUNDLE IN PHOTOGRAPHY HELP ME? If you want to truly get ahead in this industry then a study program is the best option – however it takes a lot of commitment and study to finish a program, but it is a lot easier (especially when you are studying online) if you are supported by your education provider. Will Studying Help me to be a Professional Photographer? Sound demonstrable knowledge and skills across industry sectors but also pertinent to the job; a study program is just one part of that, many people have qualifications but it is how you are able to apply and demonstrate your knowledge that will count most to your potential employer. Good communication skills: verbal, written and IT skills are the very basis of a professional in any industry and photography is no exception. You need to be able to communicate effectively at all levels – with workers, your peers, your employers and importantly your clients. Technology also changes rapidly so being open to learning also keeps you abreast of new industry developments: read, attend conferences, check the news in your industry, read industry papers, network and so on.